Darwin's living history makes fascinating reading, a picture of early outback Australian life as told by the people who were there. 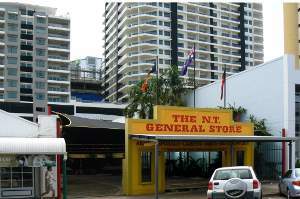 The NT General Store stands bravely amongst surrounding modern high-rise buildings. A favourite of campers and back-packers, the store still gives a hint of the real outback flavour of Darwin City before recent city developments changed the skyline for ever. Read the stories of the people who were here before the big developers and remember a very different Darwin, a much more relaxed and rural town. The history books only ever tell part of the story, it's the living memories of people who were there which bring the history to life. If you lived or worked here, or even just visited the area, your experiences and impressions are valuable information that will tell us, and future generations, what earlier days were really like. Rod Young "My short time in Darwin 1972"
Darwin through the eyes of a teenager. Were You in Darwin When? 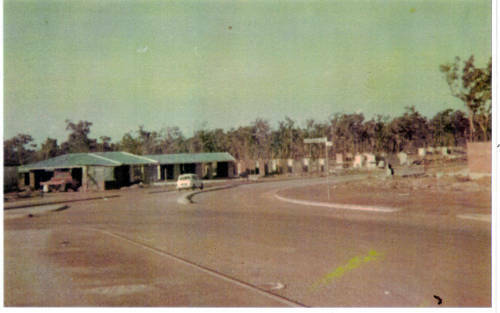 Alawa Crescent under construction in the early 70's or late 60's.